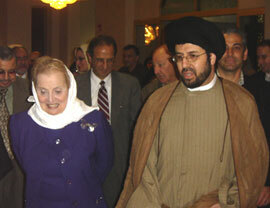 Madeline Albright, former secretary of state, visited the Islamic Center of America in Dearborn, Michigan, and met with Imam Qazwini. On Wednesday President Trump ordered a pause in immigration from Syria and the top six terrorist countries. This announcement upset Democrats who want the free flow of migrants into America despite economic, national security and health risks. Madeleine Albright went to Twitter to protest Trump’s move by declaring herself Muslim. This prompted FOX Business Network host Elizabeth MacDonald to lose it and set the record straight!